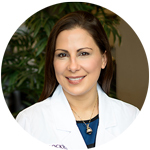 Board-certified dermatologist Dr. Jessica Saucier, MD, FAAD treats all sorts of problems and diseases of the skin, hair, and nails. A fellow of the American Academy of Dermatology and Member of the American Society of Dermatologic Surgery, Dr. Saucier remains at the forefront of patient-centered medical and surgical dermatology. Read more about Dr. Saucier here. Dermatologists are specialized medical doctors who treat a wide variety of skin, hair, and nail issues that may require medical and surgical components for treatment. Dermatologists first obtain a medical degree before completing an additional 3-year-minimum focused residency in dermatology. Board-certified dermatologists, like Dr. Saucier, go a step further by then passing a rigorous certification exam for dermatology. In general, for medical issues, dermatologists first diagnose the issue and then treat accordingly. The recommended treatments often depend on many factors, and in some instances may allow for choices to be made by the doctor and patient. Choices between medicines, method of delivery, or surgical and non-surgical options may be offered with the goal to provide the best outcome, affordably. Regular skin screenings and patient education given by the doctor can help provide a level of preventive medicine as well. Read more about our commitment to practicing evidence-based and cost-effective medicine. "Dr. Saucier and her staff are always a delight to work with, very thorough and professional. I feel that they have my health and well being as their highest concern." Why choose a board-certified dermatologic surgeon? Surgery may be an appropriate option for treating a particular issue, for example skin cancer treatments by surgery, certain nail problems and cyst treatments. Dr. Saucier, a board-certified dermatologic surgeon, is proficient in various surgery and closure techniques in order to optimize results.